From its earliest days, Vassar drew critical comment and frequent visitors, whether invited or not. Some arrived to deliver speeches or gather information for magazine articles, while others came out of sheer curiosity. Some would become lifelong affiliates of the fledgling institution, while others would never be heard of again. The following entries chronicle prominent visitors’ experiences at and impressions of Vassar in its early days, as well as our students’ impressions of the respective visitors. 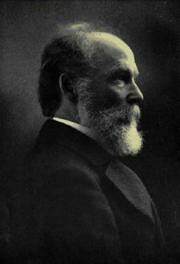 Henry Barnard, editor of The American Journal of Education, corresponded frequently with Vassar’s trustees as they laid their first plans in 1861. Taken by the beauty of the grounds, Barnard urged President Milo Jewett to "reconsider the fundamental idea" of college housing. Rather than the "collegiate" housing arrangement within Main Building proposed by the architect, Barnard, who had by then published two books on the subject, suggested that Vassar opt for "family" housing. Under Barnard’s plan, the trustees would not offer housing in Main, but would erect several smaller houses for faculty and students to occupy together, in order to bolster a sense of "family life" and cultivate the young ladies’ "moral nature". The trustees, however, persisted with their original plans and Barnard’s opinions went unmentioned when he published an article about Matthew Vassar and his plans for Vassar Female College in the 1862 edition of The American Journal of Education. By the end of the century, college housing, expanding out from main, included several "family-style" residence halls, and in the 20th century this trend continued while smaller, cooperative housing models also evolved. Unbeknownst to the original Vassar trustees, a Poughkeepsie Congregational minister and aspiring writer, Moses Coit Tyler, published a lengthy manifesto on the founding of Vassar Female College in an 1862 edition of The New Englander. In his article, Tyler presents Matthew Vassar’s aims as both revolutionary and problematic. Though Tyler invests "faith, hope, and love" in the college, he also notes that Vassar "ventures a sea not yet fully explored, and where some navigators before him have already gone down". Like Barnard, Tyler focuses on the college’s plans for housing the coming students, but he praises the plan: "this university undertakes to be an extensive educational restaurant and lodging house, an elaborate and magnificent literary hotel!" Tyler also reports a Professor Crosby’s objections to young ladies living on campus, and defends Vassar’s proposed "home system." Since "a Matthew Vassar will not appear in every township," Tyler argues, Vassar Female College should anticipate and plan for students who need to travel long distances and settle in at the college. Tyler concludes his article by holding the opposers of women’s education responsible for the spreading of a "hydra-headed lie – a denial that woman is a human being!" Above all, he contends, Vassar College will be "a sign of progress" that will aid in the advancement of women, regardless of potential risks. The Vassar Board of Trustees appreciated Tyler publicizing and praising the college so much that they paid for the article to be published and distributed independently, shortly after its publication in The New Englander. In speaking of her classes at Vassar College, Maria Mitchell says (1865), "I have a class of seventeen pupils between the ages of sixteen and twenty-two. They come to me for fifty minutes every day, I allow them great freedom in questioning and am puzzled by them daily. They show more mathematical ability, and more originality of thought, than I had expected. I doubt whether young men would show as deep an interest. Are there seventeen students in Harvard College who take mathematical astronomy, do you think? 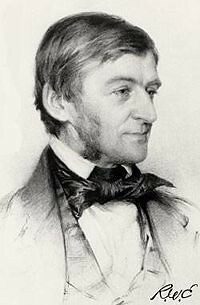 On May 17, 1867, the transcendental philosopher and poet Ralph Waldo Emerson spoke at Vassar. As he approached the podium, the students saw "a man of extreme deliberation" with an "indefinable lack of fashion," and a "gentle, shrewd, observing" expression. He prefaced his lecture with a brief caveat, explaining to the eager crowd that, "seeing who were to be his hearers," he certainly "brought the wrong lecture with him" – "there were portions of the lecture before him [Vassar students] might not be able to understand," and he "would omit such passages as far as possible." Emerson continued thus, pausing every so often to set aside several pages and, "with a gentle winning apology of expression," continued reading, "quite regardless of the broken sequence." 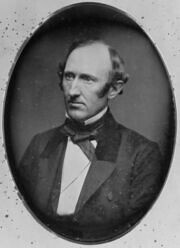 In 1869, when students invited Wendell Phillips, president of the Anti-Slavery Association, to return to Vassar after a successful visit two years earlier, Vassar trustees refused Phillips permission to speak, saying " a man so identified with radical views ought not to come… as [Vassar students are] not to be exposed to radical doctrines of any sort." Students protested vehemently and formed an impressive uprising against the administration. Even Maria Mitchell joined in on the commotion; she said Phillips had the "right to come and to say whatever he chose." Eventually, the trustees relented and Phillips was permitted to lecture. 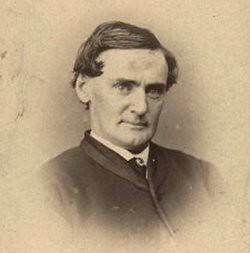 Charles William Eliot, president of Harvard College, visited Vassar in 1870 while touring several colleges that had begun accepting women. Among his reasons for the visit was to determine whether Harvard should follow the lead of colleges like Oberlin and Antioch and become coeducational. During his visit to Vassar, Eliot reportedly told Professor Charles Farrar "that the boys at Harvard could not recite nearly as well in German, French or Latin, or even in mathematics, as the girls did [at Vassar]." On one occasion, Eliot even "probed" the Calculus students with questions – "not one failed in reply." In 1873, Dutch writer Martinus Cohen Stuart visited Vassar while touring America, and he wrote at length about the college in his Six Months in America (1875). Recalling his experiences, Stuart proclaimed Vassar "unrivaled by any school in the New World" and gave a lengthy account of Matthew Vassar – "the capitalist who founded this palace." Stuart praises Main Building, which he compares to the Tuileries Palace and Versailles and describes as "bearing a likeness to the Renaissance." Touring the building, from the "splendid parlours," to the "spacious rooms for the sick and convalescent," in the Art Gallery he received a surprise visit from "fellow-countryman," Professor Henry Van Ingen. Stuart also met President John Raymond and Lady Principal Harriet W. Terry, who presented Stuart with information on the college’s administrative functions. Stuart noted Terry’s observation that: "Our most eminent pupils turn out to be on the whole the most lovable women; silly emancipation-theorists aren’t turned out by Vassar." In summation, Stuart remembered Vassar as "a model Higher School for girls, built not so much on the basis of abstract and extravagant theories, but on experience and insight into human nature," which has "born already some magnificent fruit." The novelist, naturalist, social reformer, chaplain to Queen Victoria and sometime philosophical antagonist of Cardinal Newman, Canon of Westminster Charles Kingsley visited Vassar in 1874 to lecture on "Greece in the Day of Her Glory." During his stay, Kingsley proved "exceedingly reserved, indifferent and hard to entertain." In fact, the only faculty member he cared to meet was Maria Mitchell ("My wife would never forgive me if I came home without seeing Maria Mitchell"). At one point, Kingsley caught the faculty off-guard by demanding a beer after his lecture. While the staff kept no alcohol on the premises, Professor Truman Backus "came to the rescue" by sweeping Canon Kingsley off to his study for a chat and a bottle of ale. When renowned British historian Edward Augustus Freeman visited Vassar in 1874, he expected a little more than the usual housekeeping efforts. Two faculty members strolling past his quarters late at night noticed his old shoes placed just outside the door, awaiting a good shining. Realizing the college provided no such service, the two professors "stole near and carried off the shoes, polishing and returning them in fine shape, boasting ever after of the honor and privilege." When Louisa May Alcott paid a visit to Maria Mitchell in 1875, swarms of Vassar girls surrounded her in the hallways, eager to meet the acclaimed author. Alcott sat patiently near the laundry truck, signing each autograph album and schoolbook, speaking with each student, and "kiss[ing] every one who asked." One student remembered Alcott as "easily the idol of Vassar." Evidently, the girls would refer to each other as characters from Little Women or Little Men – "We had our Jo, Meg, Amy, even sweet Beth; ‘Pa March’ and ‘Marmee,’ Laurie, John, and the twins (in one person!)." 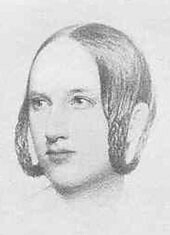 Over time, the "March family" of Vassar girls became more familiarly known by their Alcott-inspired pseudonyms than by their real names. In April 1879 (2), while poet Walt Whitman was visiting the renowned naturalist John Burroughs, the two friends hitched a lame white horse to their buggy and rode from West Park to Poughkeepsie to visit Professor Frederick Louis Ritter and his wife. Mrs. Ritter had long since invited Whitman to Vassar through mutual friend William D. O’Connor, to whom she had sent a letter on rose tinted paper, in a pale green envelope, "perfumed like Arabia Felix." At Vassar, Burroughs and Whitman enjoyed Ritter’s setting of Whitman’s poem "Dirge for Two Veterans." Burroughs became a regular visitor at Vassar Class Days and Commencement ceremonies, and Vassar students often visited him or corresponded with him at his West Park residence, "Slabsides." Looking back on his visit at a 1919 Whitman Centenary at Vassar, Burroughs recalled "no one at the College but the Professor of Music, Dr. Ritter, then seeming to know anything about the poet." But by the time of the Centenary, "young women and their teachers were finding in Whitman a guide to a wholesome and elevating attitude toward the facts of life." A critique in 1884 of Ralph Waldo Emerson by the towering poet and critic Matthew Arnold, later collected in the book Arnold wished most to have his prose judged by, Discourses in America(1885), had little effect on Vassar students. In his lecture, Arnold called Emerson "neither a great poet nor a man of letters" and argued that his poetry "lacks directness, completeness, energy." Arnold did, however, praise Emerson’s "truthfulness and sympathy," as well as his ability to convey "the power of holding fast to happiness and hope." One student reviewer scolded Arnold for his "academic narrowness" and conveyed Vassar students’ reluctance "to be led back into medievalism even by such cultured and classic teachers as Matthew Arnold." 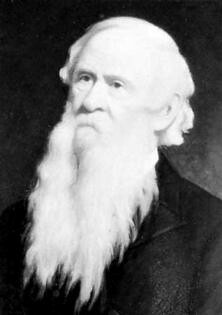 The invitation came to me from… the president of the college [Samuel Caldwell] – a sour old saint who has probably been gathered by his fathers long ago; and I hope they enjoy him; I hope they enjoy his society. I think I can get along without it, in either end of the next world. We arrived at the college in that soaking rain and… Susy had to sit in her damp clothes half an hour while we waited in the parlor; then she was taken to a fireless room and left to wait there again… I do not remember that president’s name and I am sorry. He did not put in an appearance until it was time for me to step upon the platform in front of that great garden of young and lovely blossoms. He caught up with me and advanced upon the platform and was going to introduce me. I said in substance, "You have allowed me to get along without your help thus far, and if you will retire from the platform, I will try to do the rest without it." I did not see him any more, but I detest his memory. …all of Vassar, ancient and modern, shook hands with me. Some of the moderns were too beautiful for words, and I was very friendly with those. I was hoping somebody would want to kiss me for my mother, but I didn’t dare suggest it myself. Presently, however, when it happened, I did what I could to make it contagious, and succeeded. Woodrow Wilson, professor of politics and jurisprudence at Princeton University and future President of the United States, visited Vassar in 1892 to speak on "Democracy." In his lecture, Wilson focused on the relationship between the general will and the "conception of liberty." In America, Wilson stated, "citizenship is exalted, has the great opportunities, and must be the nobler." Joseph Jefferson, an actor particularly famous for his portrayal of Rip Van Winkle, visited Vassar in 1895 to address aspiring actresses at a Philaletheis meeting. With "charm" and great "personal magnetism," Jefferson gave an informal lecture on the relationships between "genius and art," "oratory and acting," and "comedy and tragedy." At one point, he even staged a brief performance of the grave-digger scene from Hamlet – "a delightful bit of impromptu acting which was highly appreciated by his audience." 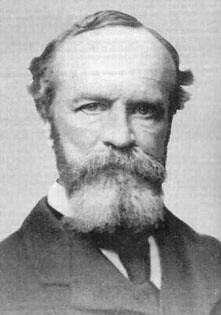 Writer and philosopher William James lectured on "Psychology and Relaxation" in 1896. He chided the young ladies for "trying to wear a bright and interested expression all the time" instead of donning "the stolid expression and codfish eye of their European sisters." The Magnificent Enterprise sets the date at 1878, while Whitman recorded it as April 28, 1879, and Burroughs later referred to the visit as occurring in the eighteen-eighties. Susy did not attend Vassar, but Twain’s niece, Jean Webster, did, as a member of the Vassar class of 1901. "Matthew Vassar & Vassar Female College." The American Journal of Education. Ed. Henry Barnard, LLD. Hartford: Barnard Publication, 1862. pp. 53-56. Tyler, Moses Coit. "Vassar Female College." The New Englander. November, 1862. Dall, Caroline Wells Healey. The College, The Market, and The Court. 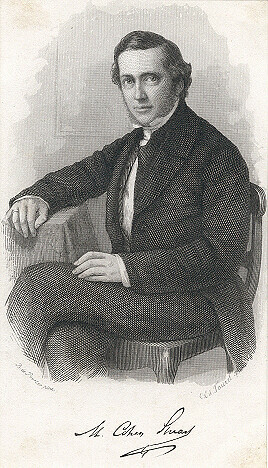 1867. pp. 43-44. Wood, Frances A. Earliest Years at Vassar. 1909. 59-61. Norris, Mary Harriott. The Golden Age of Vassar. 1915. pp. 113-116. Plum, Dorothy A. and Dowell, George B., The Magnificent Enterprise. Poughkeepsie: Vassar College, 1961.
Letters from Old-Time Vassar Written by a Student in 1869-70. Poughkeepsie: Vassar College, 1915. pp. 142-3. M[artinus] Cohen Stuart, Zes Maanden in Amerika, Haarlem, 1875. The Journals of Louisa May Alcott. Ed. Myerson, Shealy, & Stern. Boston: Little Brown. p. 196. Walt Whitman: The Correspondence 1876-1885. Ed. Edwin Miller. NYU: 1964. Vol.3. 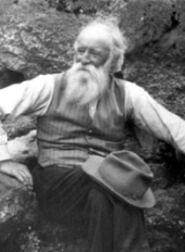 Life and Letters of John Burroughs. Ed. Clara Barrus. New York: Houghton-Mifflin Co., 1925. Vol.1. pp. 367-8. 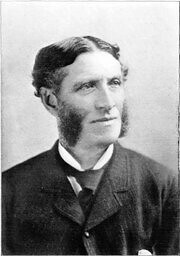 "Matthew Arnold’s Criticism of Emerson’s Poetry." The Vassar Miscellany. May, 1884. No. 8, Vol. XIII. 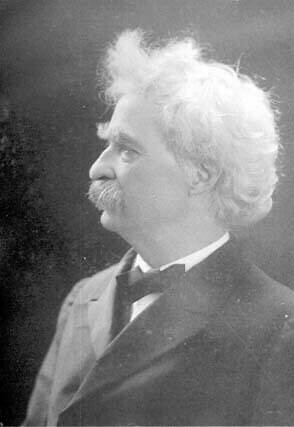 Twain, Mark. Autobiography. New York: Harper & Bros., 1924. Vol. 2. pp. 169-172, 314. "Woodrow Wilson – December 9th lecture." The Vassar Miscellany. No. 4, Vol. XXII. p. 207. The Vassar Miscellany. 1895. No. 3, Vol. XXV. Pg. 129.